When it comes to taking care of our loved ones, it’s safe to say that every single person is capable of doing a great job in this regard. We all want to care for our loved ones and we all want to help them enjoy a better quality of life in every way possible. While most, if not all, rely on their parents to acquire whatever their hearts desire, the role-reversal as parents’ age tends to take a toll on the children. Caring for the elderly is different than caring for the young, but the amount of dedication that is required is the same. In the case of elderly caregiving, many might opt for a nursing home or hire additional help. However, one can understand how to care for the elderly on their own, especially if they are caregivers and would like to be the best they can for their loved ones. One of the most prominent and recurring mistakes made in caregiving is when the caregiver believes that they know everything there is to know, which means that they refrain from seeking additional help when needed. In such scenarios, things can take a turn for the worse, due to negligence. No two patients are alike and both should be dealt with in different ways. Caregiving advocate, speaker, and expert, Pamela D. Wilson, has written books on the subject to help caregivers understand that their duties and responsibilities can be made easy. Not only is Pamela one of the best-selling authors, but she also provides tons of online material. In addition to Pamela, there are several other caregiving authors, such as Linda Abbit, Patricia Williams and Melanie P. Merriman. A lot of people believe that they know how human beings think and how they function. While there’s no doubt there, it’s also true that until one reaches the elderly years of their life, they won’t understand the mind of an elderly person. This is true. The elderly are more likely to be snappy and in a bad mood the minute that they wake up. Patience and respect are needed on the part of the caregiver. Often times, people do not work in accordance with a schedule, but as a caregiver, one does not have this leniency. You must create a strict schedule for yourself and for the caretaker. However, this must be discussed with the caretaker and not just created in order to benefit oneself. Sleep time, waking up, food, etc., should all be a part of the schedule in addition to medication, if any. The elderly normally are unable to look after themselves as they would like to. However, personal hygiene should always be a top priority. Thus, the caregiver may be expected to fulfill this duty. In order to minimize embarrassment, have a talk with the caretaker and discuss this appropriately. Then add this to the schedule and take care of their personal hygiene. If you are the only person living with the caretaker, then you will have to run errands for them as well. This includes doing the laundry, getting grocery, as well as keeping the house clean in case there is no additional help around. Of course, you can get additional help if you want, but you must prepare yourself for these duties in any case. The number one trait that all caregivers should have is compassion. 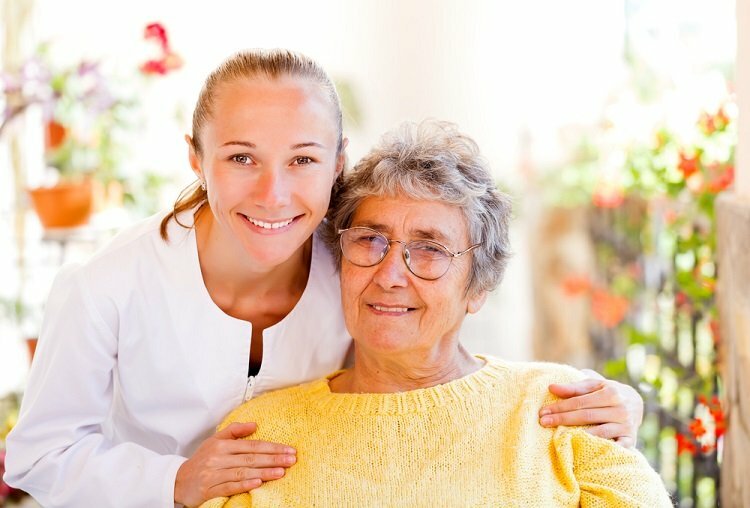 If a caregiver is not compassionate then this can become a very demanding situation on both ends. This is one of the main reasons why caregivers are often people who are naturally kind, charming and wish to help other people. They are healers. So, always be compassionate because the elderly caretaker will need it. The elderly are bound to have weaker bones and often times, they are bedridden or bound to a wheelchair. However, they may be in denial and you may catch them trying to walk or get out of bed due to the determination. However, this can cause them to hurt themselves especially if they end up falling. You, as the caregiver, must be vigilant and cautious of this and be ready to help prevent this. When one reaches the final stage of their life, they are bound to face problems when managing finances or protecting their funds. You must be willing and able to do this for them especially if they do not have anyone else to turn to. In scenarios, where they are short on money or do not know what contract they are signing, step in to ensure that they are not being scammed by companies or anything of the sort. Often times, there are several caregivers who simply do not look after themselves in the same way as they should. Of course, the responsibilities that are laden upon the shoulders of a caregiver are too much to take for most but it is important to practice self-care alongside as well. Considering the fact that caregivers are normally doing so much for the caretakers, they should definitely take out a couple of minutes for themselves, too. Furthermore, caring for the elderly might seem like a mission in the beginning but eventually, it all pans out and seems easier than anything. As long as you have the will to help others, the power is yours too. So, before you start your journey as a caregiver, ensure that you are prepared for the challenges. Tilly Wiliam is a writer and traveler, studying Therapeutic Recreation full-time. She enjoys political debates and thinks morning routines are overrated.